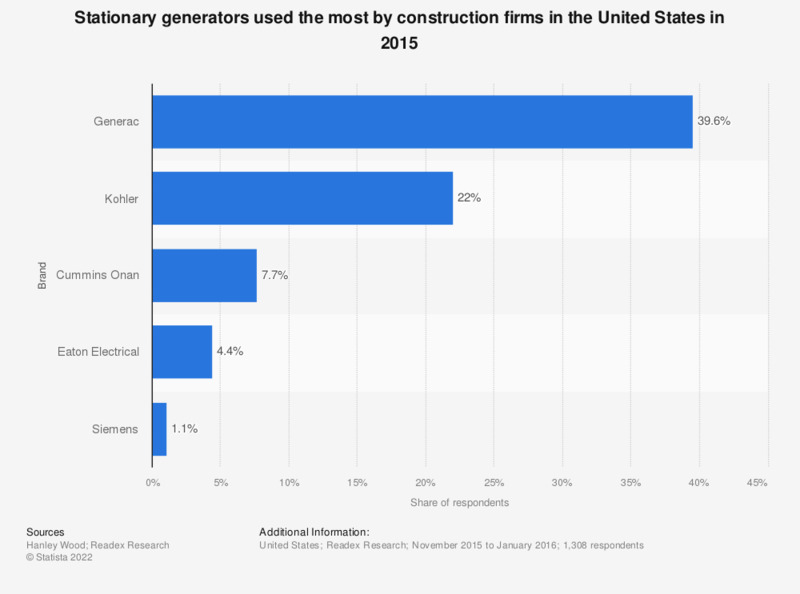 This statistic depicts stationary generators brands used the most by U.S. construction firms in 2015. The survey revealed that 39.6 percent of the respondents use Generac brand stationary generators the most. Home improvement retail industry in the U.S.